Elizabeth Mayer is an industry leader with over 15 years of experience in PPP transactions and financings. She acted as lead counsel for the Province of British Columbia on two of the earliest PPP projects in Canada: the Okanagan Lake Bridge project and Phase 2 of the Kicking Horse Canyon project. 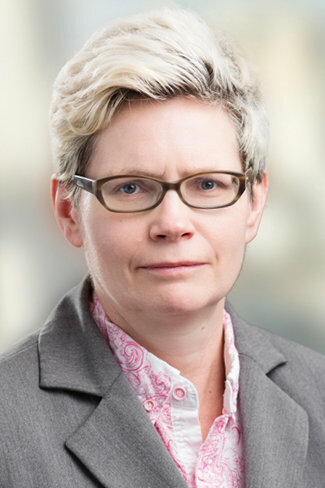 A senior member of DLA Piper (Canada) LLP’s Projects, Energy and Infrastructure Group, Elizabeth has advised on a long list of high-profile infrastructure projects across Canada, including the design, build, finance contract for the Evergreen rapid transit project in British Columbia as well as the $4.25 billion Champlain Bridge replacement project in Montreal. She also led teams in closing the Surrey Pre-Trial Services Centre project in British Columbia and the Billy Bishop Island Airport Pedestrian Tunnel project in Toronto. Elizabeth has considerable expertise in tendering and other procurement matters, advising both public and private sector clients on procurement strategy and dispute resolution. A highly sought-after advisor well known in the PPP legal industry and an active mentor to young lawyers, Elizabeth is recognized by major legal ranking guides including Best Lawyers in Canada, Chambers Canada, Chambers Global, and The Legal 500 Canada.